WASHINGTON, DC, December 26, 2015 (ENS) – In response to the steep decline of lion populations in the wild, the U.S. Fish and Wildlife Service is listing two lion subspecies under the Endangered Species Act. Panthera leo leo, located in India and western and central Africa, will be listed as endangered, and Panthera leo melanochaita, located in eastern and southern Africa, will be listed as threatened. To protect lions and other wildlife from criminal activity, Fish and Wildlife Service Director Dan Ashe also issued a Director’s Order to strengthen enforcement of wildlife permitting requirements. In line with President Barack Obama’s National Strategy for Combating Wildlife Trafficking, the order keeps violators of wildlife laws from being granted permits for future wildlife-related activities, including the import of sport-hunted trophies. In the last 20 years, lion populations have declined by 43 percent due to habitat loss, loss of prey, and retaliatory killing of lions by a growing human population. Coupled with inadequate financial and other resources for countries to effectively manage protected areas, the impact on lions in the wild has been devastating. 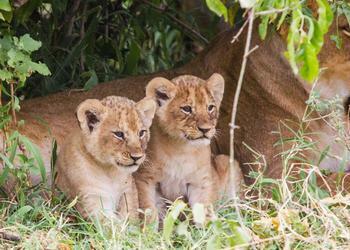 In March 2011, the Service received a petition to list the African lion subspecies as endangered. In October 2014, the Service published a 12-month finding and proposed a rule to list the African lion as threatened. Based on newly available scientific information on the genetics and taxonomy of lions, the Service assessed the status of the entire lion species and changed its earlier finding. The new science resolved that the western and central populations of African lion are more genetically related to the Asiatic lion. These lions are now considered the same subspecies, Panthera leo leo. 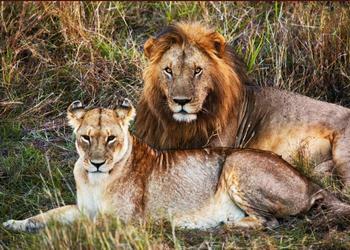 There are only about 1,400 of these lions remaining in the wild; 900 in 14 African populations and 523 in India. Considering the size and distribution of the lion populations, population trends and the severity of the threats, the Service has found that this subspecies meets the definition of endangered under the Endangered Species Act. The lion subspecies Panthera leo melanochaita likely numbers between 17,000 and 19,000 and is found across southern and eastern Africa. The Service determined that this subspecies is less vulnerable and is not currently in danger of extinction. Although lion numbers in southern Africa are increasing overall, there are populations that are declining due to ongoing threats. As a result, the Service finds the subspecies meets the definition of a threatened species under the Act. With an endangered listing, imports of Panthera leo leo will generally be prohibited, except in certain cases, such as when it can be found that the import will enhance the survival of the species. To further strengthen conservation measures for the threatened Panthera leo melanochaita, the Service is also finalizing a rule to establish a permitting mechanism regulating the import of all P. l. melanochaita parts and products, including live animals and sport-hunted trophies, into the United States. The process will ensure that imported specimens are legally obtained in range countries as part of a scientifically sound management program that benefits the subspecies in the wild. The final rule will allow the Service to support changes that strengthen the governance and accountability of conservation programs in other nations. Well-managed conservation programs use trophy hunting revenues to sustain lion conservation, research and anti-poaching activities. Permits would also be required for scientific purposes, activities that enhance the propagation or survival of the subspecies in the wild, zoo exhibitions and educational purposes. The Service has the authority to deny future permit applications for activities such as sport-hunted trophy imports to anyone who has previously been convicted of or pled guilty to violations of wildlife laws. The order will ensure that this authority will be exercised to the fullest extent. The Service is also working to increase the fees it charges for these permit applications. Application fees facilitate the permit review process, including the evaluation of sport hunting programs to determine whether permits for the import of trophies may be granted. If finalized, the Service estimates an increase in permit fees could result in full cost recovery for the permitting program that would be used to make the necessary determinations. The final lion rule was published in the Federal Register on December 23, 2015, and takes effect 30 days after publication on January 22, 2016. For more information, a copy of the final rule and Director’s Order, please visit: http://www.fws.gov/endangered/what-we-do/lion.html.